Instruments tell stories through their appearance as much as through their sound. 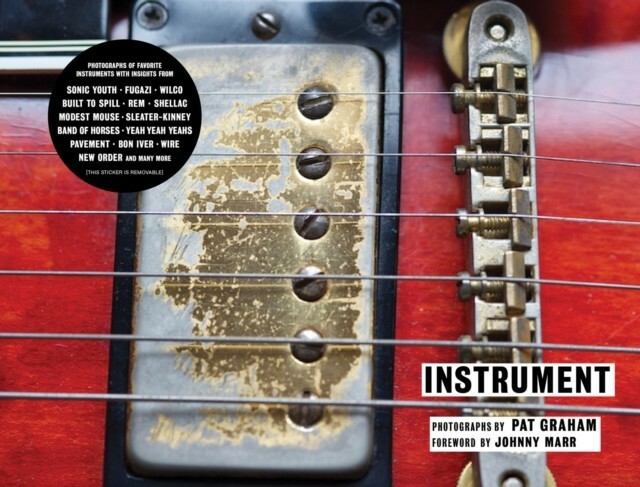 Pat Graham's photographs capture the intimate relationship between musician and instrument told by the signs of wear of fingers on frets or keys, chips, scratches, and modifications by the artists who have played, beaten on, bled over, and made them their own. 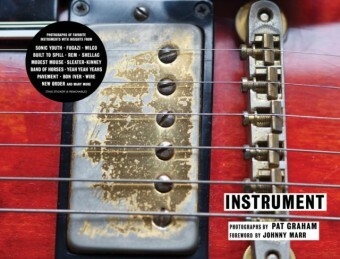 For more than ten years, Graham has been documenting these amazing instruments and collecting stories about them from musicians on the road, in clubs, and at home, including members of The Smiths, Sonic Youth, The Flaming Lips, R.E.M., New Order, Wire, Fugazi, Built to Spill, Band of Horses, Modest Mouse, Yeah Yeah Yeahs, and many more. His gritty and beautiful images reveal the physical nature of music.